Cartons for tissue samples transport. Or ... a tale of blood and paper. As part of a nationwide public health study, researchers collect blood and tissue samples from test citizens across America. These samples are stored on slides then shipped back to the central laboratory in Ann Arbor, Michigan for analysis. Originally we were asked to design a plastic box for this project. Hard for me to admit, but sometimes plastic isn't the correct material choice or solution. For this project the customer was on a tight budget, a short schedule, and needed 8,000 tissue boxes for the project. We played around with a couple of ideas, then I had an epiphany. The solution was basically an origami problem. I worked through several sample versions with the researchers until we got it right with version 7.0. The tissue curtain blanks are shipped flat and assembled on site as required by the sample collection team. When the tissue collection cartons are assembled, the blood and tissue slides fit easily and securely inside the cartons for transport back to the lab. 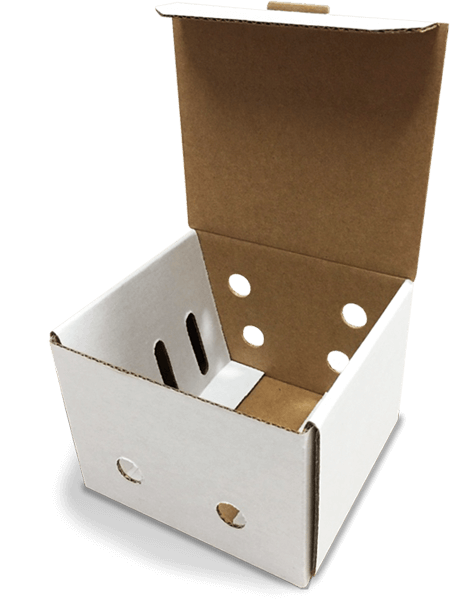 The tissue cartons are made from a specially coated and crush-resistant paper and card stock. Tissue sample transport that is safer and costs less. Research dollars can be spent on improving Americans’ health and not on logistics and transportation.